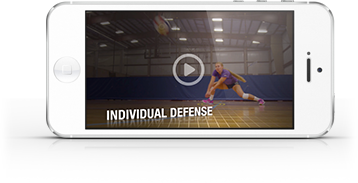 In this video, Art of Coaching's Jim Stone gives you a detailed analysis of common traits shared by high-level servers who excel at both scoring with their serves and knocking teams out of system. Among the questions he answers: What's the velocity sweet spot? What zones – and which specific spots in those zones – yield the best results at different levels of the game? Where should servers stand to give opponents the most trouble? Jim also offers tips on how to train passers to handle tough serves. Serve from various areas behind the end-line. Work on the jump float. Work on serving corners and sidelines. Work on serving deep to the back third of the court. Work on serving low and flat. Avoid passing balls overhead with your hands whenever possible. Stats show that passes are consistently better when taken with the forearms.